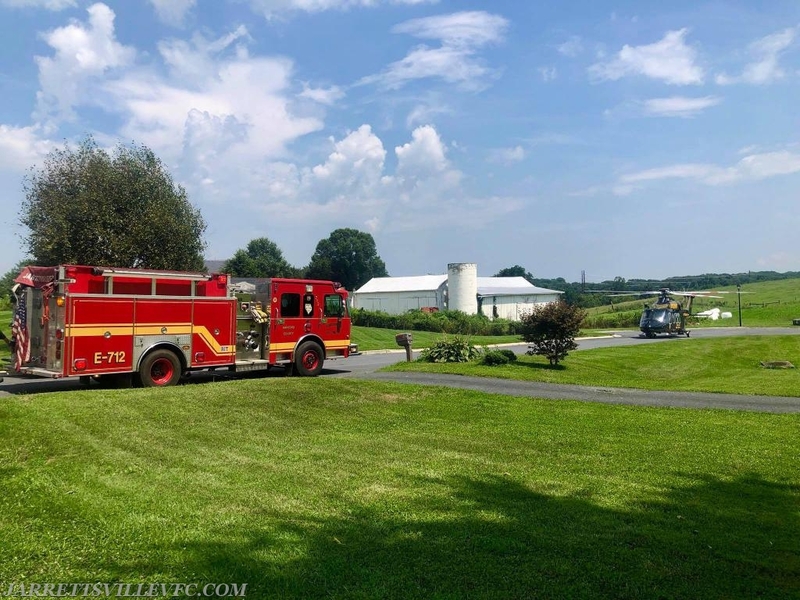 The Jarrettsville Volunteer Fire Company was alerted for a motor vehicle accident with injuries in the area of Route 23 and High Point Road. Units arrived and reported a 2 vehicle accident and soon requested 2 additional transport units and MSP Aviation to the scene for a Priority 1 Category A patient. Crews treated and transported those injured while securing the roadway of all hazards. Engine 712 secured a nearby landing zone for MSP Trooper 1. Units remained on scene for an extended period of time before the roadway was re-opened. 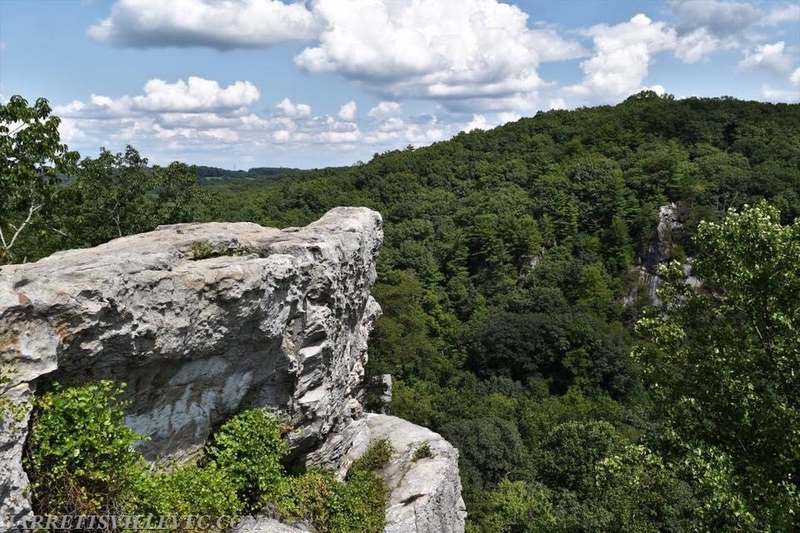 The second incident was located in Rocks State Park at the King and Queen Seat. Crews were alerted for a fall victim from the rock formation. 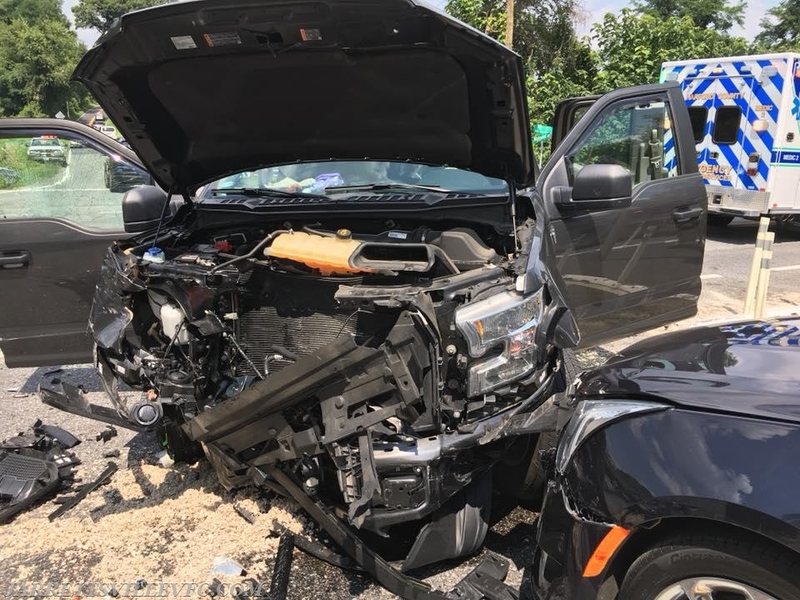 JVFC Units along with members of the Harford County Technical Rescue Team and neighboring Fire Companies responded and were able to extricate and transport the victim to an awaiting MSP Medevac. Crews were on scene for an extended period of time due to the extent of the extrication process of the patient.